For us, sustainability is about applying the power of our business to drive positive economic, social and environmental impact – making sure that the work we do helps people live healthier and better, both today and for generations to come. For a comprehensive look at our economic, social and environmental progress and performance, check out our newly published 2017 Global Sustainability Report. But for a quick view of our sustainability work, look no further than our pioneering technologies, including the FreeStyle Libre® system. 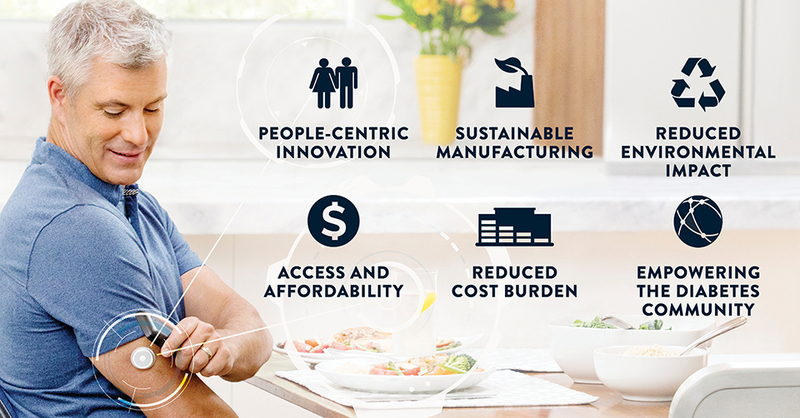 Most people don't think of a diabetes monitor when they think about sustainability – but at the intersection of technology and sustainability, you'll find the FreeStyle Libre system. Click here to learn more about the many ways our work has a sustainable impact, through the lens of a single product.